Customer experience is at the heart of most digital transformation initiatives. Rethinking and redesigning this experience has been the primary focus with companies placing most of their efforts on digital channels and enhancing applications to delight customers and make it easier for them to engage with their brand, products and services every step of their journey. The customer experience is the proving ground where battles between the digital disrupters and the digitally disrupted are fought and ultimately either won or lost. We saw this disruption in the early years of digital transformation when applications were updated to incorporate social, mobile, analytics and cloud-related features delivering easy access, anytime and anywhere. Pure-play tech companies designed and built customer-centric applications from the ground up, reinventing digital customer experiences and business models and processes along the way. Today, we’ve moved beyond these “digital experience essentials” and towards a new wave of enabling technologies that are “digital experience enhancers” – enabling customer experiences even further with technologies such as 3D printing, AI, blockchain, computer vision, machine learning and IoT to name a few. While most companies have done this from day one, it helps to continue to think about how the customer experience can remain central to your digital agenda, fine-tuning along the way. For example, while you strategize on new business models, processes, products and services from the customer’s perspective—and take an outside-in as opposed to an inside-out approach—it is also useful to bring the concept of business ecosystems into your thinking. It is estimated that “fewer than 12% of companies capture more than 85% of economic profit in any industry” and much of this is via ecosystem-oriented business models. As you think about individual customer experiences, consider the bigger picture of how the customer experience might factor in your digital ecosystem. For example, how does the customer experience vary across this entire ecosystem and what unmet needs can this ecosystem deliver to customers? What’s the new 20% that can capture 70% of new value? It’s important to listen to the customer, but also to look at the impact of new technologies and new ecosystems on the “art of the possible” – both for your business and your customers. For more on this, please see our recent blog “4 steps to incorporate business ecosystems into your digital strategy”. Customer journey mapping and design thinking are great ways to bring established processes and practices into your product management approach. While design thinking doesn’t necessarily give you the full solution or a process to follow, it provides useful guidelines and principles that ensure a customer-oriented mindset across the disciplines and process steps of empathy, definition, ideation, prototyping and testing. Rather than follow the advice of one company or one methodology, however, be sure to gather a holistic set of techniques and best practices from various external parties, as well as from internal experts, and put together a world-class approach that is tailored for your requirements. It’s important to go beyond simply paying lip-service to customer experience and really drive it into the core of the company culture. The first step is taking a world-class approach. The second and most important step is to make customer experience an integral part of the company culture, so it becomes institutionalized and second nature in how your organization serves, and even obsesses, about your new and existing customers. 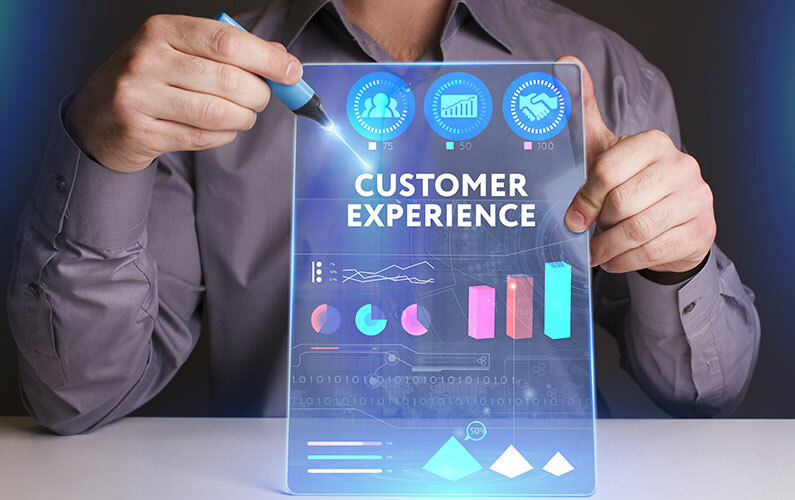 Just as you’ve elevated Project and Program Management, Product Management and Enterprise Architecture into centers of excellence for your organization, take a similar approach to customer experience. Prioritize customer experience disciplines to the level of attention needed across multiple business units and across the organization to help build rigor and maturity as you progress. As part of this center of excellence, integrate suitable measurement techniques such as Net Promoter Score (NPS) and Customer Satisfaction Score (CSAT), and training and certifications such as the new CX certification from Forrester, and how you can tie improvements in customer experience (CX) to corresponding improvements in ROI. Since customer experience isn’t just about customer service and support anymore, or solely application experiences, focus on addressing every aspect of the customer journey and every touchpoint along the way and that you have adequate representation from all applicable stakeholders and teams. While this may seem obvious it is often overlooked. Measuring and optimizing customer experiences, within existing applications and processes, is critical to continuous improvement. But, one of the downsides is that it is an after-the-fact adjustment. Involve customers in upfront innovation activities, in ideation processes, and in design and prototyping stages. Design thinking-style innovation workshops are highly effective to co-create and co-innovate with customers and get live input. These sessions can be anywhere from two hours to two days in length and can be a great way to capture a long list of ideas from employees, customers and partners—leading to a prioritized short list of the most promising business opportunities for near- and longer-term project roadmaps. When designing and facilitating these sessions, it’s important to not “over design think it.” These design thinking-style workshops should be more than an opportunity to bring out the colored Post-It’s as some design thinking firms or consultancies may advocate. Appropriate tools and methodology are critically important for successful sessions. For more on this, see our recent blog “5 design considerations for your design thinking workshop”. Balance. It is what drives excellence in purpose and decisions. There is nothing wrong with customer obsession as a powerful tool to gain market share. It is also important to achieve balance for all stakeholders and participants in your digital networks and ecosystems. Business models are about the exchange of value between participants and this value exchange should not just be directed towards customers and shareholders at the expense of employees. Leading companies take a holistic approach to value exchange in business models by incorporating corporate social responsibility (CSR) and ensuring employees are well looked after. A recent Ernst & Young CSR survey, “Purpose-Led Brands”, found that two in three respondents from global companies with annual revenues greater than $1B are actively reviewing or working on the UN’s Sustainable Development Goals (SDGs) which represent 17 aspirational global goals for achievement by 2030. Employee obsession coupled with purpose-driven objectives are a powerful way to augment and enhance your approach to customer experience—since not only is it the right thing to do, but customers will hear and tell about it as well. Finally, according to Forrester, “while 73% of companies aim to be CX leaders, only 25% say their CX programs actually improve customer experiences.” Overall, these customer experience recommendations should help to fine-tune your approach, increase your odds of improving your CX, and help bring your program a few steps closer to world-class capability.